Starbucks has just opened a “Shipping Container” store in Chicago! 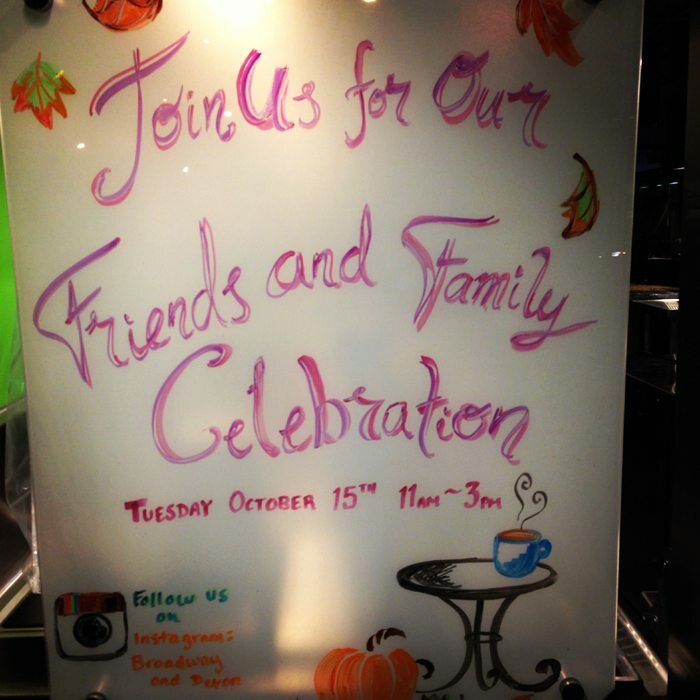 It’s a beautiful store, opened new on Tuesday, October 15, 2013. 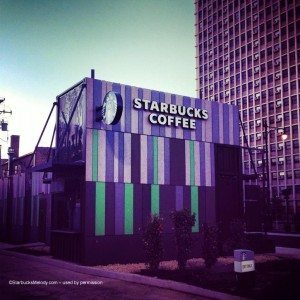 For those who don’t know, there are a series of Starbucks in various cities which are drive-thru only stores, made from used shipping containers. 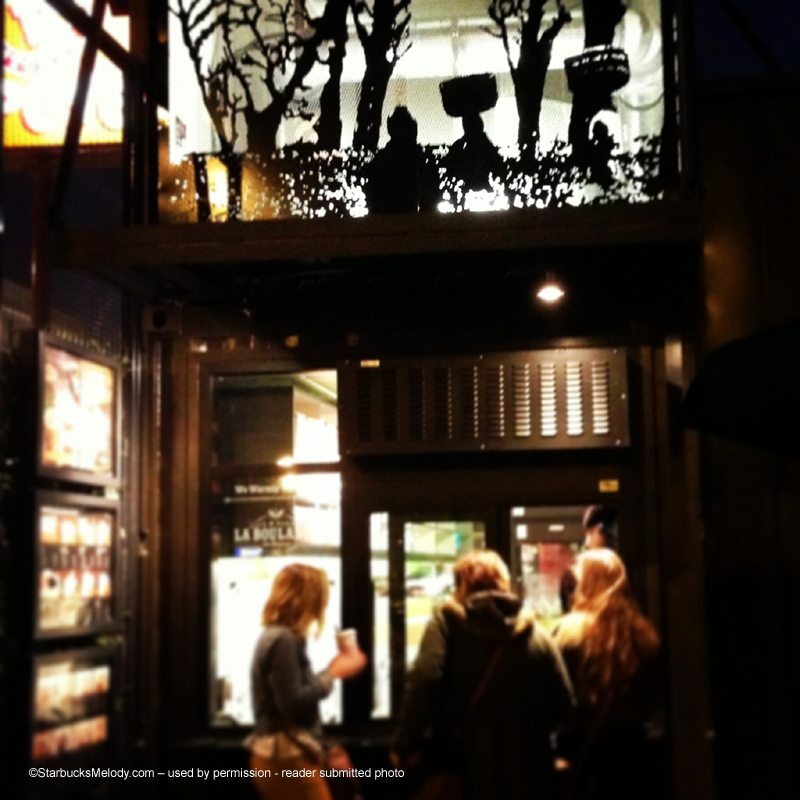 It’s part of Starbucks’ strategy to develop store concepts from re-purposed materials. 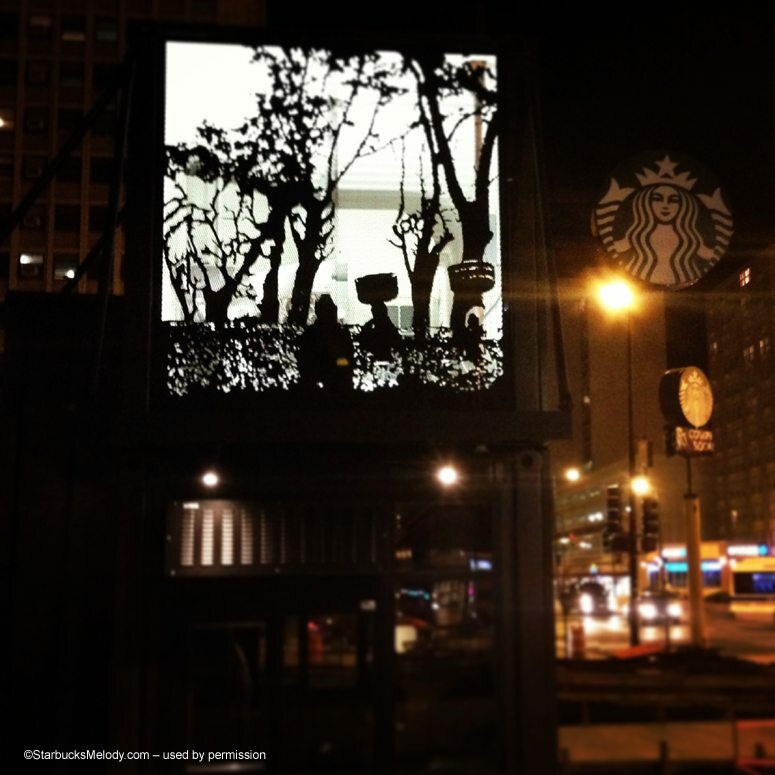 The first shipping container Starbucks opened in December 2011, just outside of Seattle, Washington. There has been a ton of news about this new store, located at the corner of Broadway and Devon, at 6350 North Broadway. 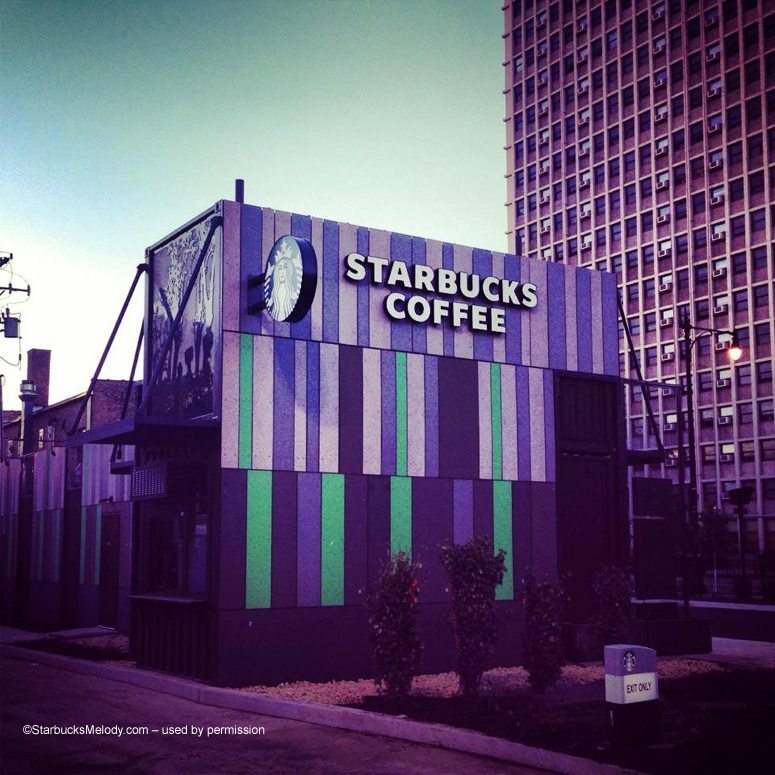 The interior is about 700 square feet, and one news source cites that it is the sixth Starbucks shipping container store. Can you name all of them? At the end of this article, I list the six possible locations. These stores are a LEED certified store design. By the way, I particularly like this article here which introduces you to the store’s manager! Here’s this store on the Starbucks store locator. Seattle (actually Tukwila) – The first one which opened in December 2011. 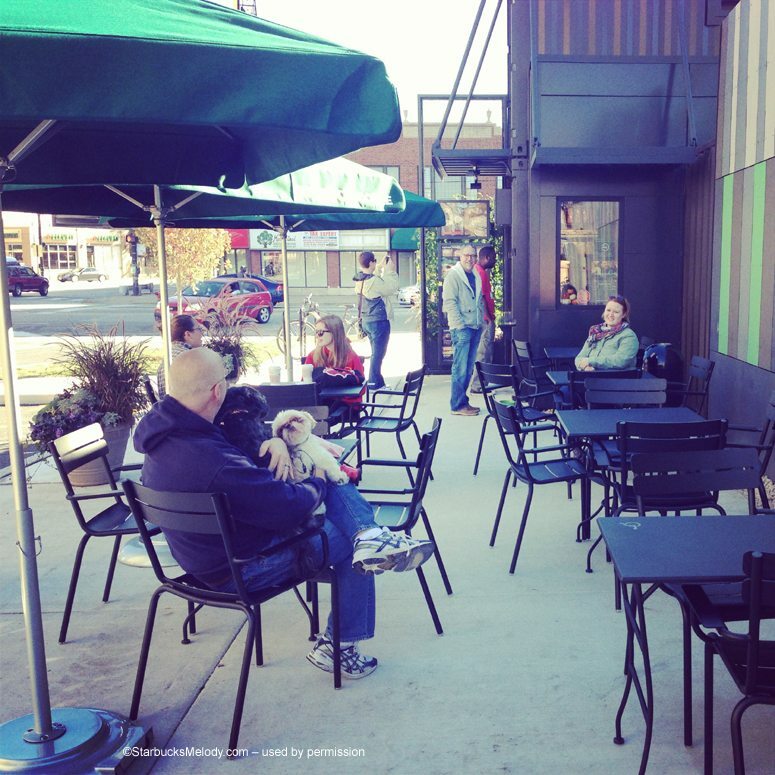 Overland Park, Kansas City – This has been mentioned as the site of a shipping container Starbucks. 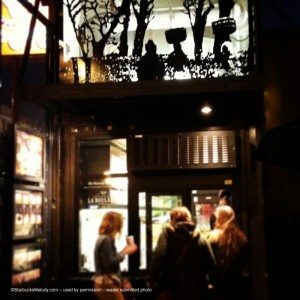 If you have photos of this store, please send them to me! It would seem that this store got very little media attention. A huge thank you to the reader who emailed me with these gorgeous photos! The article you linked to that says six mentions the Overland Park, KS store. So the six would be Seattle, Portland, Denver, Chicago, Salt Lake City & Kansas City. Wow Wow and Wow looks like an incredible store for sure. Would love to hear the comments of the readers from Chicago – is it what you expected? Finally! I can hardly contain myself…haha…get it?! 🙂 Can’t wait to visit this one…spectacular, for sure! Will try to get some pictures of it for you, soon! Just great! Will have to look for it if I ever get to Chicago. Love the dog picture! The artwork is also amazing. I know (or used to) this intersection of Chicago fairly well……will have to take a drive over there and check this out…..possibly. It does look kind of cool and also kind of built for that location. I used to live in Overland Pk, Ks (fairly wealthy area of Johnson County, Ks…..the Ks side of KC.). I will get in touch with a friend of mine who still lives there and ask here to check this out. I don’t know how well a ‘container’ store would do in that area? and, I know that as of a couple yrs ago, Chicago had the highest number of Leeds certified bldgs in the US. Do not know if that still stands and will have to google. ;( ??? anyway, interesting. This store looks cool. 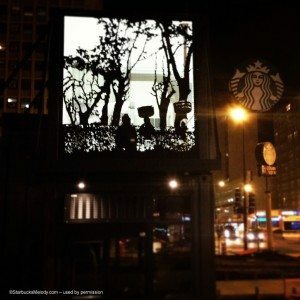 And a great way to have a Starbucks in a place that might not be able to have space for a full store. So if these stores are drive-thru only, do they also take walk ups? Or do you have to be in a car? Tukwila (Seattle) and Thornton (Denver) both take walk-ups. I would expect the other places too as well. Denver also has a drive through only that takes walk-ups too. (Same size as a container store, but different materials.) Each has parking spaces for a few cars. I remember the day they started putting it together, they had to stop because I believe there was a hostage situation close by. Since its not a sit down store, it should do fine based on location for Loyola University and the lead in to Lake Shore Drive via Sheridan Rd.. The neighborhood is still iffy IMHO. @Melody…. I was paying attention when you dropped me a hint awhile back to get you the scoop and possibly some picks of this store. The problem for me, is that I have absolutely no reason to anywhere near that location. Chicago is the most unfriendly city for drivers. Between where I live and this store are nothing but Red Light and speed cameras. I’ve never gotten a ticket yet, and I intend in keeping it that way. The City must want me to spend my money in the Suburbs, so that is where I go for everything. I know it’s a bit off topic, but this store is not worth my trip. I’m on my phone, sorry sloppy. One thing I wondered was whether this Chicago store was really the 5th, not 6th. I’m not positive the Overland Park (Kansas City) is actually open??? I just don’t know. 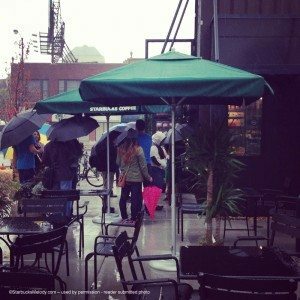 Apparently the Overland Park, KS store is supposed to be at 10201 W. 75th St near West 75th Street and Switzer Road (per: http://www.kctv5.com/story/22912640/starbucks-to-open-op-store-made-from-re-used-shipping-containers ) which does not come up on the Starbucks store locator, so it may not actually be open yet. 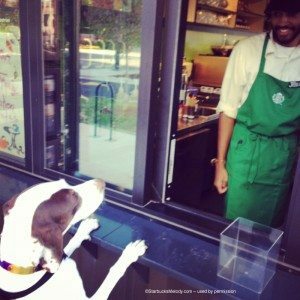 However the fact that the article that mentions six stores states “Starbucks introduced the container stores in 2011 in the Seattle area. It has added the outlets in Portland, Overland Park, Kan., and Denver. ” seems to indicate they are counting it whether it is actually open or not. re: the KS store: I actually called a couple Sbux in Overland Pk yesterday and to my amazement, no one knew if this was up. ??? weird. I agree 100% with @chgo about the location of this Chicago store…I think we talked about that a while ago. It’s not the most desirable place to be, except they will get a lot of business from Loyola stusents, I’m sure, and all the people cutting over to the Drive who do not want to gt out of their cars. Melody, what a wonderful site you have made. Since Starbucks supports my son, I am now a loyal fan (even though I don’t drink coffee). Thank you for mentioning the Chicago store! I will be reading your updates. WICKED-COOL! When I was in Orange County, there was a walk-up/drive-thru only store that I used to cover shifts @. (which, this reminded me of & was my very 1st DT experience) GOSH, I MISS drive-thru stores! Anywho, wonder if THAT store (if not remodeled already) is going to get remodeled as a shipping container store. The Overland Park container store will not be open until may. It is going to be at 75th and I-35.